Sean finds himself mistaken for a dragon slayer and has to rescue a fair damsel and save the dragon. Sean comes to the aid of an old friend and tries to rescue the Prince from the trolls. Sean discovers that it isn't easy trying to retrieve something from a leprechaun. Sean tells the story of a battle between the forces of good and evil. Sean battles an evil sorcerer to try and save the woman he loves. Sean searches for a super race that doesn't want to be found. Sean searches for an agent of the Dark One. Sean's search for a lost friend leads to a sword battle with himself. by Michele Elaine Wilson © 2003 Sean needs some powerful help to recover a precious artifact. by Michele Elaine Wilson © 2004 Sean needs to enter the heart of the Dark One's lair to rescue the White Mage. 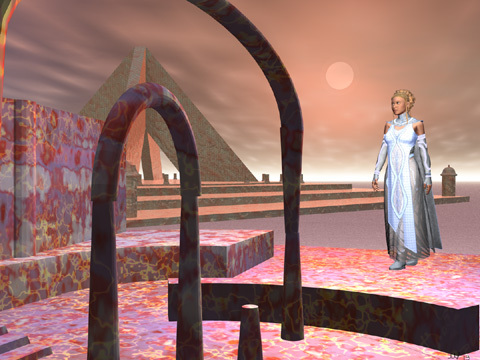 by Michele Elaine Wilson © 2004 Sean's quest for information for both the White Mage and the Queen turns deadly. by Michele Elaine Wilson © 2005 Sean is sent on a quest along with some family and friends to find some beings to help in the battle against the Dark One. by Michele Elaine Wilson © 2005 The disappearance of one of the primal magical beings brings some of the strongest practitioners of white magic to Sean's aid. Sean and Brendan are sent to check out an ancient stone circle and an old ally who may have a traitor in their midst. Sean and Brendan need to save an ally from invasion and a traitor. by Michele Elaine Wilson © 2015 I have taken all of the previous Sean's Stories and put them together in a single novel. by Michele Elaine Wilson © 2012 Sean meets the Princess Jade as the race to save a planet from destruction. Even though Sean is the narrator of this story, it isn't really a Sean's Story. Any resemblance to persons living or dead in this story is pure coincidence and if you buy that maybe you would like to buy this bridge I have for sale.